PALO ALTO, CA, March 5, 2018 – Leading consumer electronics manufacturers and brands Foxconn, Nikon, Scenera, Sony Semiconductor Solutions and Wistron today announced their collaboration formally launching a new ecosystem that will help bring the next generation of smart cameras to market. The five companies come together in alliance with their respective distinguished industry expertise and market leadership to establish a new standard specification for emerging smart camera products and applications. In today’s consumer world, the demand for network cameras, Internet of Things (IoT) and personal and home assistance cameras continues to increase. While massive amounts of data are recorded with these types of smart cameras, their systems require more infrastructures to process images for online access of artificial intelligence-based video analytic services. The increase of camera capabilities including higher resolution image capture and real-time notifications poses a significant need for additional bandwidth and storage. In addition, seamless interoperability using these cameras with the new infrastructure at reasonable cost is anticipated by consumers. Proposing a positive solution to the table, NICE defines well-structured layers and links for image capture processing, allowing users to access clips of key highlights from multiple cameras. The NICE Alliance will publish a specification for cameras that can capture scene-based images or video streams containing an abundance of specific information, such as image frames, audio, and metadata. Subsequently, the data captured can be properly scene marked, indexed, made thumbnail-searchable, and securely stored in the cloud, ready for instantaneous analytic solutions. The NICE Specification defines a new standard way for camera devices to communicate with each other and establish an effective solution, enabling a new class of utility services for consumers and creating new opportunities and business models for emerging applications. NICE is designed for forward compatibility—for both hardware and software— providing the future smart camera market with vast flexibility and adaptability that is valuable for camera manufacturers, cloud service providers, and third-party app developers, allowing all parties to fully integrate vertically and interoperate horizontally. 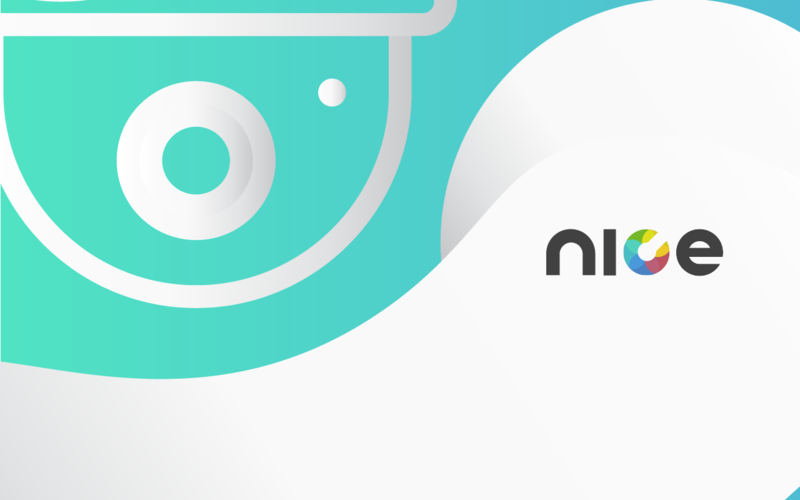 Enabling enhanced development for mass-compatible devices to services and third-party, NICE aims to revitalize the market of the smart camera by lowering the entry barriers for camera manufacturers as well as service and third-party app developers. “With the NICE cloud application program interface (API), we will be able to reduce the complexity of collected data and increase the addressable market for the connected camera ecosystem, such as the smart phone industry. Consumers will benefit from cloud-ready artificial intelligence analytics on their cameras guaranteeing advanced security and data privacy,” said Donald Hwang, CTO of Wistron. Representatives from all five founding promoters are now working closely to develop an infrastructure and establish the guidelines for the NICE Specifications. With operations in the U.S. and Japan, the NICE Alliance will be open for all companies and interest groups in the ecosystem who would like to participate in contributing and adopting the specifications. The Alliance will soon unveil the development of the NICE Specifications and additional details on how to become a member. Guided by a belief that the electronics products would be an integral part of everyday life in every office and in every home, Terry Gou founded Hon Hai Precision Industry Company Ltd, the anchor company of Hon Hai / Foxconn Technology Group in 1974 with US$7,500, a devotion in integrating expertise for mechanical and electrical parts and an uncommon concept to provide the lowest “total cost” solution to increase the affordability of electronics products for all mankind. Today, Hon Hai / Foxconn Technology Group is the most dependable partner for joint-design, joint-development, manufacturing, assembly and after-sales services to global Computer, Communication and Consumer-electronics (“3C”) leaders. Aided by its legendary green manufacturing execution, uncompromising customer devotion and its award-winning proprietary business model, eCMMS, Hon Hai has been the most trusted name in contract manufacturing services (including CEM, EMS, ODM and CMMS) in the world. Nikon has been a pioneer in optical technology markets worldwide since its inception in 1917. Today, we offer a wide range of products utilizing advanced technologies, from consumer products such as digital cameras, camera-related products and binoculars to industrial precision equipment including FPD and Semiconductor Lithography Systems, microscopes and measuring instruments. In the future, we will take advantage of Nikon’s core competencies for launching new products and also proposing solutions. In addition, we focus on the development of the healthcare business field. Scenera is forging a new standard for the surveillance and IP camera market with imaging solution providers. The visionary founders see the paradigm shift from color-rich images to rich scene information that enables new and powerful capabilities. Standard compliant smart cameras generate abundant image information for surveillance applications such as object recognition and detection, location tracking, etc. Scenera’s goal is to align key industry players with the same vision to create an interoperable ecosystem that will bring a new generation of the smart camera. For more information, please visit www.scenera.net. Wistron Corporation is a Fortune Global 500 company and a Technology Service Provider supplying ICT (information and communication technology) products, services and systems to our global customers. We are devoted to increasing the value of our services through developing innovative solutions in the areas of green recycling, cloud and display vertical integration. For more information, please visit: www.wistron.com.